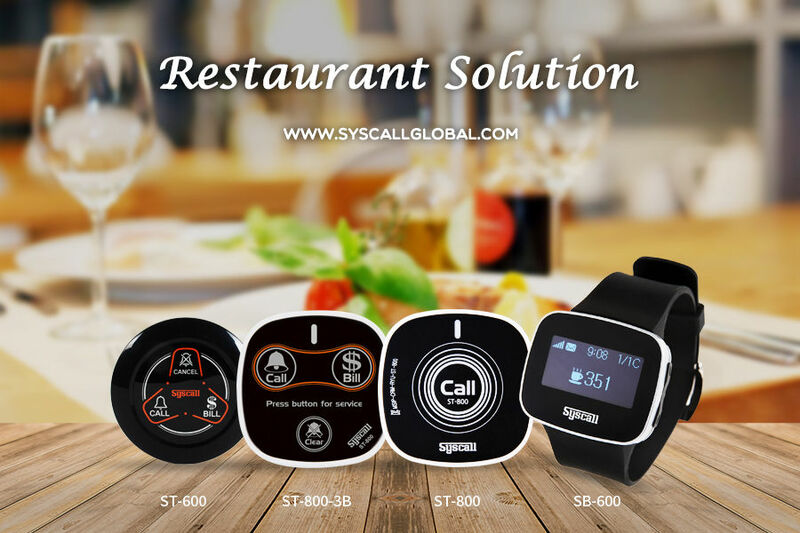 Syscall has developed transmitters, pagers, and receivers that could be extremely useful if you are managing a restaurant. The products focus on the restaurant industry but it can be also applied for cafes, grocery stores, retails, hotels and casinos. Basically, here is how the system works. It includes wireless calling system for customer use and a wireless paging system for staff use. When customers need service, they will press the call button on the table. 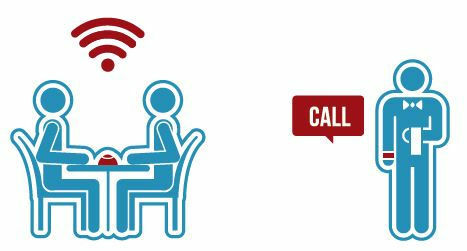 The staff will check the table number from the receiver and he can directly reach out to see what the customer needs. Besides, the waiter will also receive notifications from the chef, so waiter can pick up the foods quickly from kitchen. The system obviously will give the right solution to restaurants. It will improve customer satisfaction by serving customer immediately and this will lead to increase table turnover. Therefore the restaurant will run business more efficiently and maximize profits by facilitating staffs’ workflow effectively. Simply to understand how the system works, click and watch the Syscall commercial below. At the moment, Syscall offers various kinds of transmitter models as you can see below. The call buttons can be attached to the tables and most of them are water-resistant. They are designed to 1 or 3 call buttons. The basic call bell has only one function of Call, the other 3 call bell has Call/Bill/Clear. Three different functions of each button. On the other hand, the waiter or waitress will see which table needs service through two type of receiver, first monitor type and second watch type (pager). For instance, the SB-600 pager is a wearable device which is a new product. Each waiter needs to wear a direct pager on their wrist like a watch. 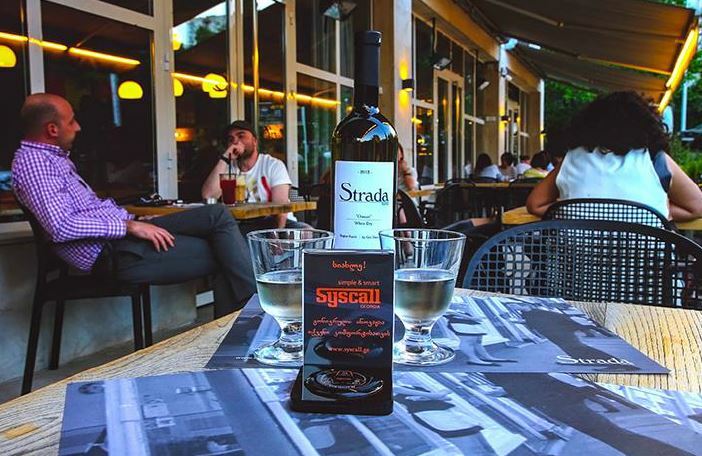 The advantage of Syscall direct pager is that waiter will never miss calls from the customer because he can receive and check which table is calling while he is on the move. Overall, every minute counts when it comes to customer experience management. Therefore, you really should check out Syscall wireless calling system and wireless direct paging system. If you want to give your customer to have a great experience while they are staying in your restaurant.